The cutlery basket consists of two compartments. 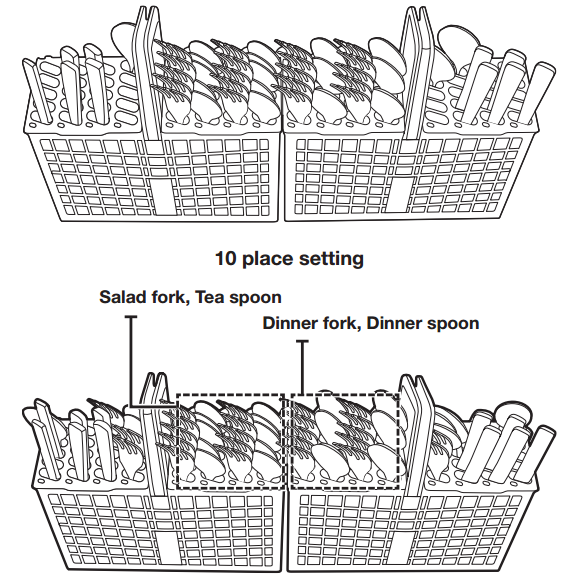 You can place each knife, spoon, or fork separately into the cutlery stands in the basket’s covers to prevent chipping and discoloration. You can use the cutlery basket with the covers open. The cutlery stands as seen from above with the suggested placement of cutlery items. Match the numbers in the diagram to the numbers in the list of cutlery items above.